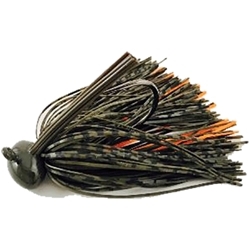 Elk River Jigs Football Jigs are designed to go to the bottom and stay at the bottom. The football head shape is far less likely to flop over on its side, allowing the hook to stay upright and to avoid snagging. Recommended for hard bottoms and away from grass.